Meet the cutest hard drive ever! 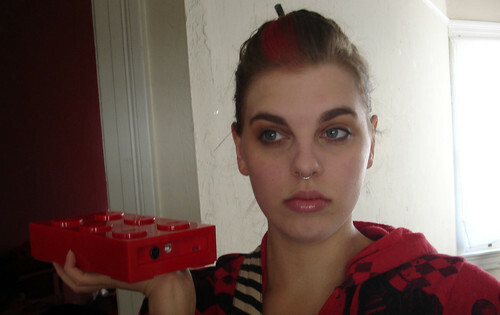 The LaCie brick is a portable hard drive shaped like a lego. When I saw these come out last year, I knew I had to have one, but at the time, they were too expensive for me to even consider it. With the recently plummeting price of storage hitting an all time low, I decided to revisit my dreams of lego shaped portable media…and lo! It was cheap! If you have multiple drives, they stack atop each other just like real legos. Have any cute tech you want to share? OMG want! And you look really good with your hair up! I almost bought one of these a few months ago, but didn’t because the 500gb one only comes in one color. I wanted to stack two or three of them and its just not the same without the multi color. tea – you could maybe hit them with some spray paint? Also…it’s been a minute…how are you?